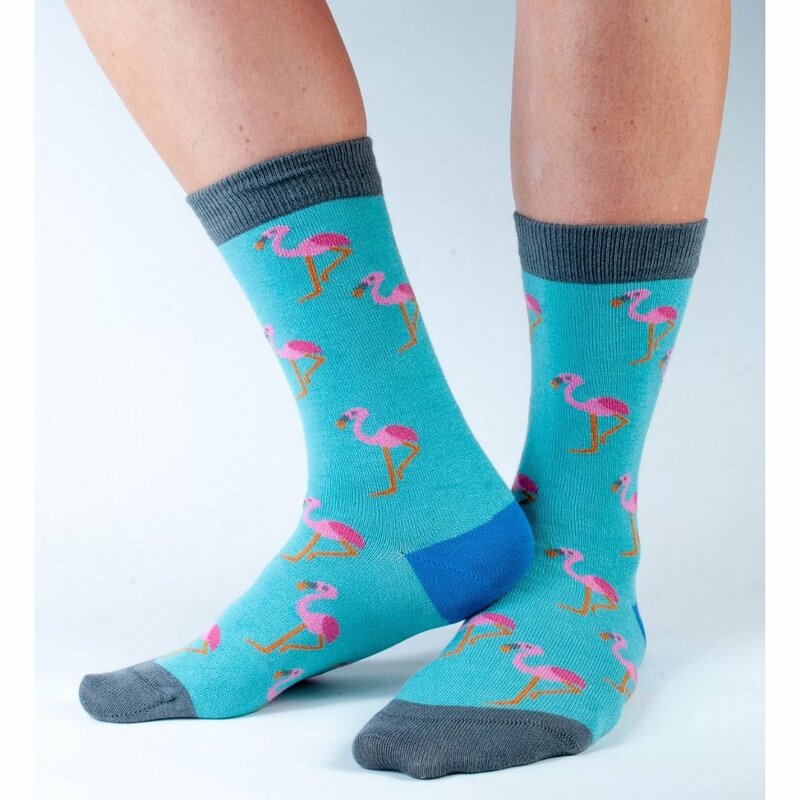 These quirky green flamingo socks are not only stylish, they’re also comfortable and ideal for keeping your feet from getting dirty. The material used is a blend of polyester, organic cotton, elastane and bamboo, and it’s the bamboo that helps maintain good hygiene. Bamboo fibre has the added bonus of being anti-fungal and anti-bacterial, which keeps your feet from getting nasty after a long jog. Combat stinky feet while enjoying a luxurious softness with Doris and Dude bamboo socks. The Doris & Dude Women's Green Flamingo Bamboo Socks product ethics are indicated below. To learn more about these product ethics and to see related products, follow the links below. 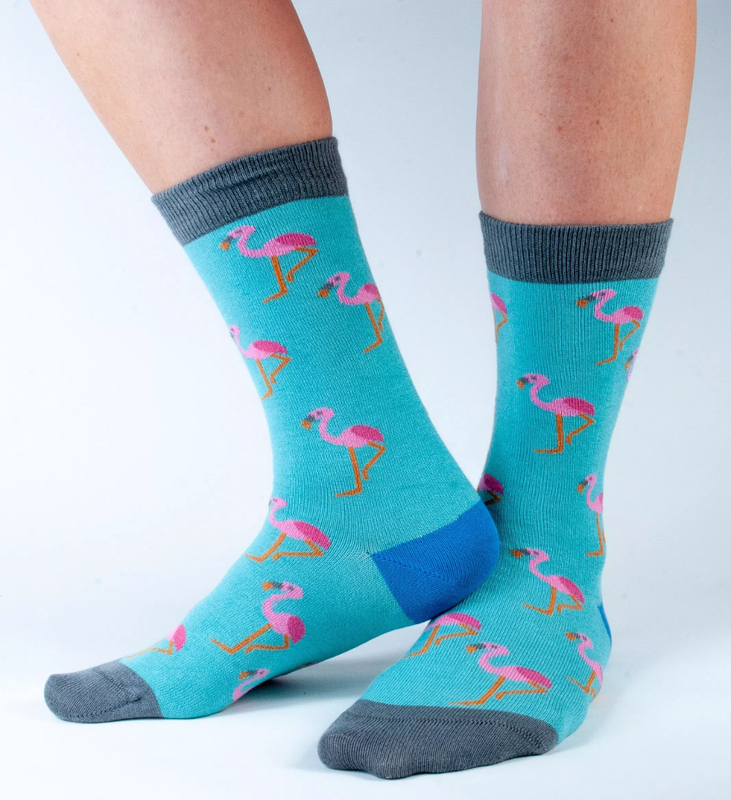 There are currently no questions to display about Doris & Dude Women's Green Flamingo Bamboo Socks.